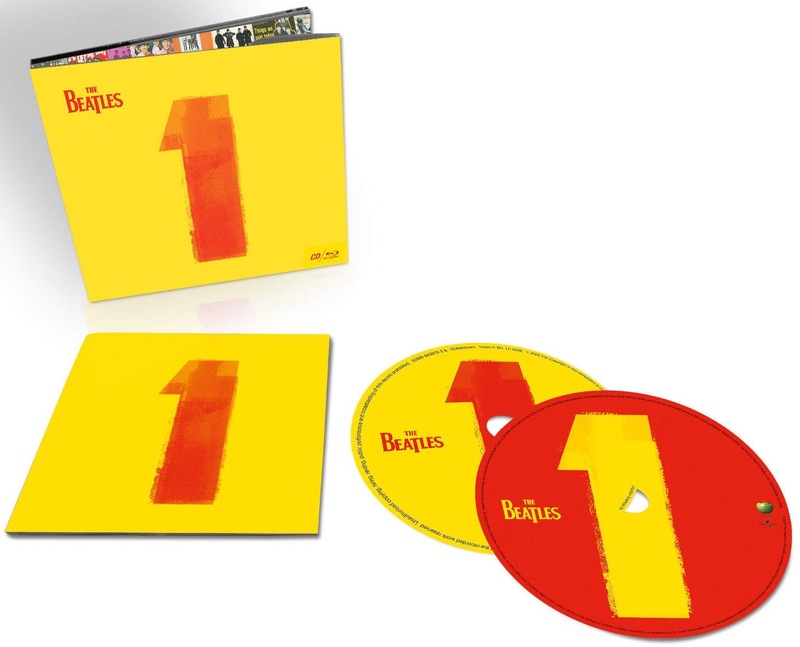 Yes, it is the video version of the Beatles “1” CD, plus a bit more, newly restored and expanded in multiple configurations for global release on November 6. After The Beatles stopped touring, and because travelling around the globe to promote new releases was impossible, the band increasingly made what could be described as “mini movies”. These pioneering promotional films and videos helped to define the way we have come to watch music, not least because The Beatles approached filming with the same ease and innovative spirit they brought to the recording studio, exploring new creative possibilities with infectious delight. 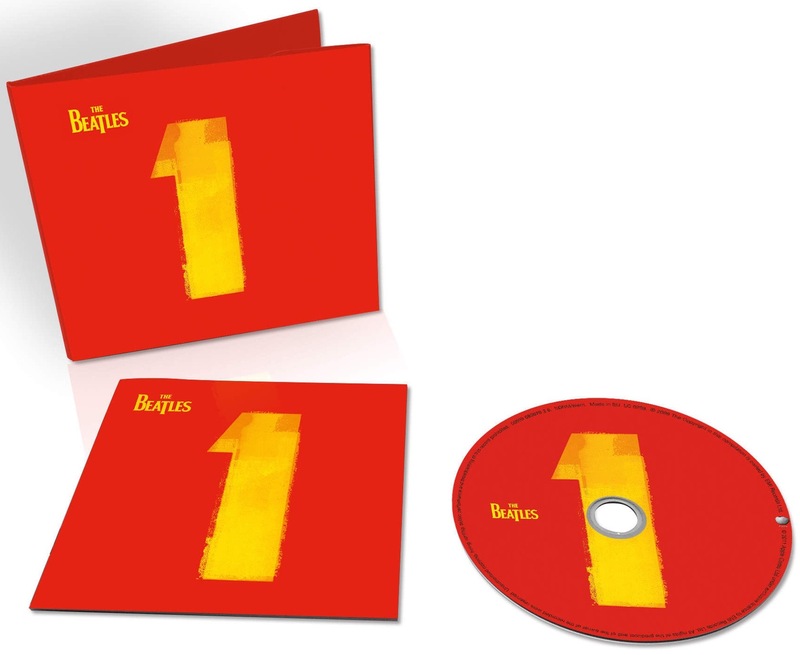 Showcasing the band’s filmed work to accompany their 27 No.1, U.K. and U.S. singles, The Beatles 1 is newly restored and expanded in multiple configurations for global release on November 6 by Apple Corps Ltd/UMG. 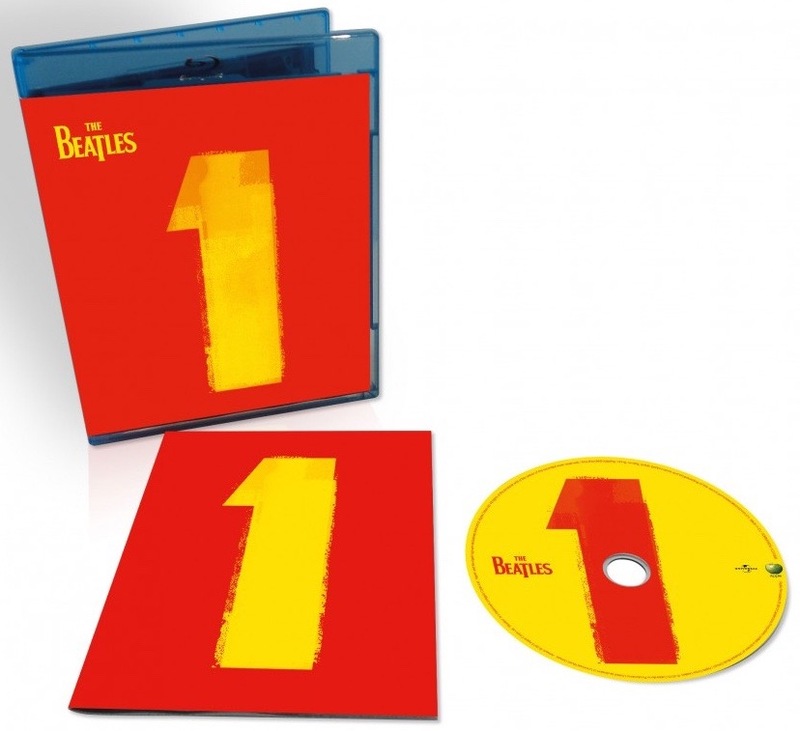 TThe new editions of The Beatles 1 have been made possible following extensive research, and restoration of the original promo films, classic television appearances and other carefully selected videos spanning the band’s history. Apple Corps dug deep into The Beatles’ vaults to select a broad range of films and videos for their rarity, historical significance and quality of performance. An 18-person team of film and video technicians and restoration artists was assembled by Apple Corps to undertake painstaking frame-by-frame cleaning, colour-grading, digital enhancement and new edits that took months of dedicated, ‘round-the-clock work to accomplish. 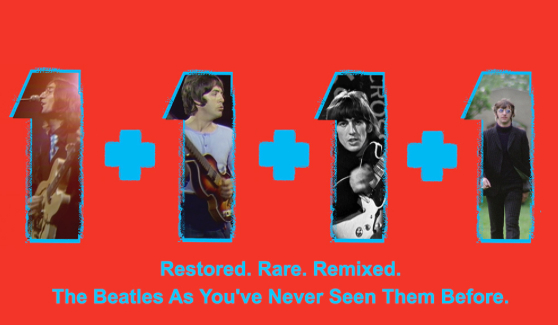 The result is a visual run down of The Beatles’ number one records, as well as the additional tracks on the bonus disc of Beatles 1+ that show the band in previously unseen standards of clarity and quality; many of the films and videos have never before been commercially released, in whole or in part. Beatles 1 and Beatles 1+ offers the restored films, including 35mm negatives scanned in 4K and digitally restored with new stereo and 5.1 surround audio remixes, produced from the original analogue tapes by the GRAMMY® winning team of Giles Martin with Sam Okell at Abbey Road Studios. For four of the videos, Paul McCartney and Ringo Starr have provided exclusive audio commentary and filmed introductions, respectively. 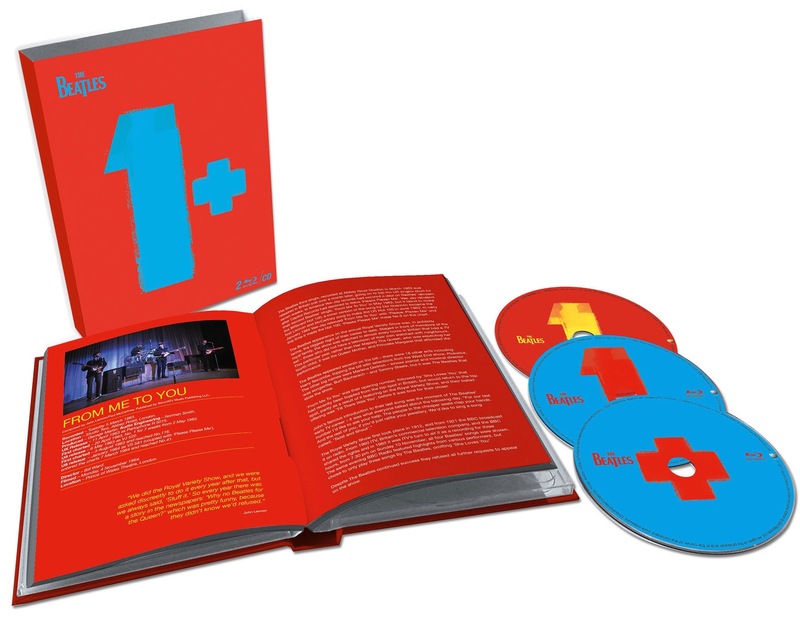 The 1+ Deluxe Edition, presented in an expanded 124-page illustrated hardcover book includes ‘an appreciation’ of The Beatles’ ground-breaking films and videos by music journalist and author Mark Ellen and extensive, detailed track/video annotation by music historian and author Richard Havers. Between 1962 and 1970, The Beatles released 27 No.1 hit singles in the U.S. and the U.K. In 2000, these timeless songs were collected for The Beatles 1, which topped the charts in 35 countries and became that decade’s bestselling album worldwide. 15 years later, 1 is revisited for this entirely new, visually-inspired presentation. It’s The Beatles, as you’ve never seen them before. 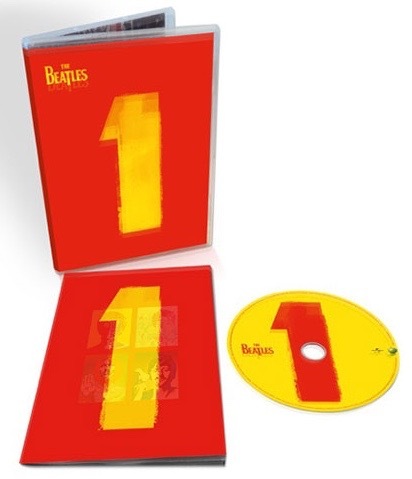 This entry was posted in Apple, Beatles, Beatles Collecting, Beatles Music and tagged "1", Apple Records, Beatles, Beatles Collecting, Beatles DVD, Beatles Remastered, BluRay, Music by beatlesblogger. Bookmark the permalink.